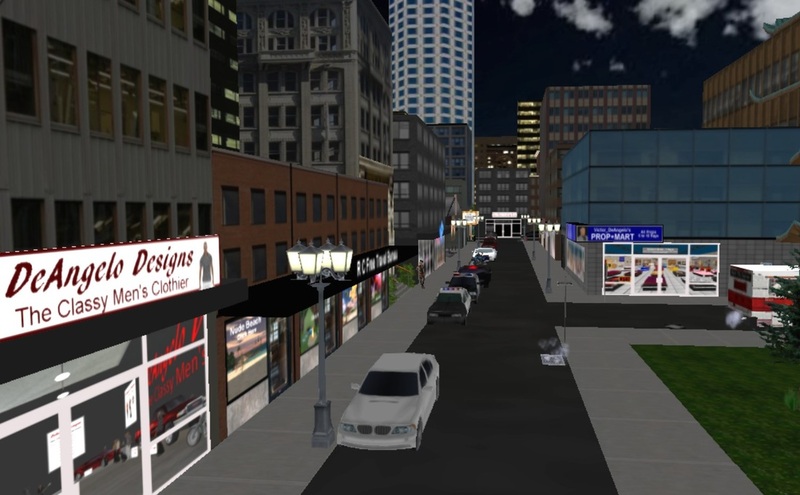 The creator and owner of the Free Life Grid began his virtual life in OpenSim having come from seven years of experience as a member of the Utherverse virtual world. His accomplishments there included a large city layout called Rock City that was filled with various businesses, nightclubs, stores, and builder resources. He was also a home layout designer as well as the owner of what was called the PROP*MART; a huge store containing a large inventory of home furnishings that he created. The photos to the right are snapshots of the virtual world that Victor created in the Utherverse virtual world. Victor chose to migrate to OpenSim due the superior visual quality and also his appreciation for the free exchange of creativity that is the core philosophy of OS. It was not a difficult decision for him to leave the Utherverse due to maintaining a real money based economy that promoted greed and inferior quality products. It was a good friend who invited Victor to try out OS in 2016. She provided him with a free parcel and house to introduce him to the tools and how to navigate the HyperGrid. Of course he immediately became hooked on OS so he leased a 3X3 sim and began building. In 2017, he was provided with a free sim of the same size in another grid. However, those spaces were soon filled so he determined to set up his own grid so as to have unlimited space to continue building his Free Life City. Victor is truly enjoying this amazing and beautiful virtual world. He invites all to say hello and enjoy it with him.